Our huge selection set us apart. 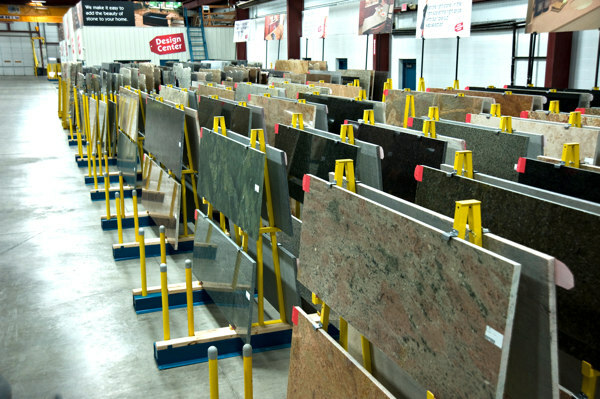 With thousands of slabs and hundreds of colors, you’ll feel welcome and comfortable while shopping in our well-lit, climate controlled slab showroom & warehouse. 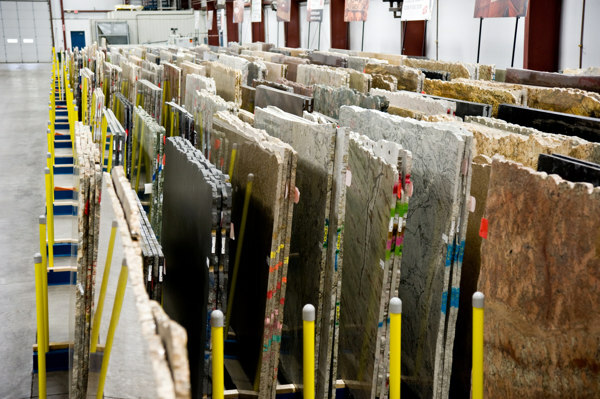 You’ll find granite, marble, limestone, exotics, onyx, and others in our extensive natural stone inventory. We offer a large selection of many of the most popular quartz surface brands including, HanStone®, Zodiaq®, Silestone®, and CaesarStone®. We also carry ECO by Cosentino, Vetrazzo, and Rinato as part of our GREEN collection. See a wide selection of beautiful stone countertops in our Idea Center and showroom where natural stone, quartz surfaces, the latest “green” surfaces and sinks, and faucets are on display. 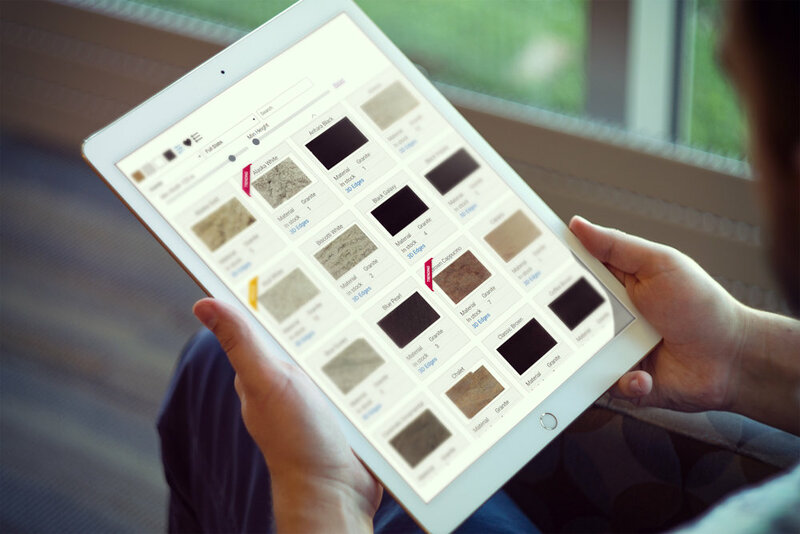 We’ve got everything you need for custom stone countertops and we make it easy. 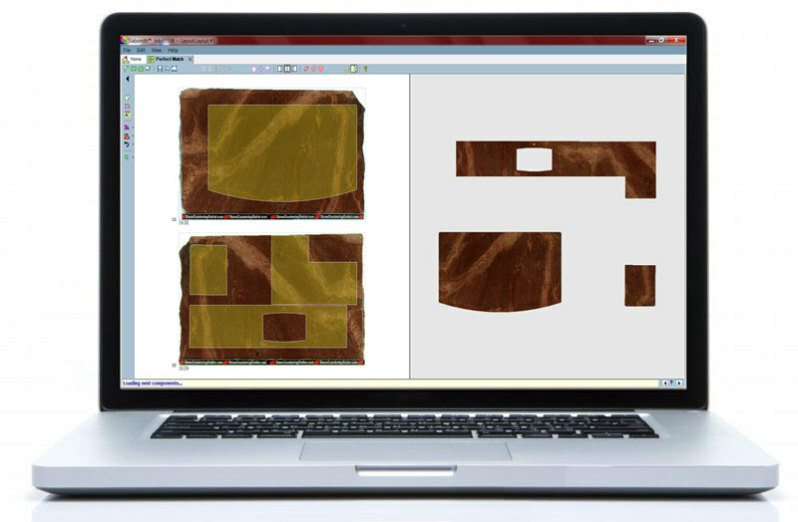 The fact that every slab in our inventory displays a tier makes it easy for you to stay within a budget. We will get you a bid while you look around so you can tell what your cost will be before your final selection is made. You’ll know exactly what fits your budget. You’ll know exactly what your actual project cost is without a huge investment of your time and effort. This gives you greater ability to control the pricing of your job. As with any large purchase, you’ll appreciate knowing the price upfront so you can shop intelligently and efficiently while finding the stone that fits your budget. As a Granite-Tops company, we leverage our experience as the Midwest’s leading fabricator and installer of custom stone countertops to deliver an entirely new stone buying experience that is “customer-focused”. Since 1995, Granite-Tops has been fabricating and installing stone countertops as our primary business – specializing in kitchen countertops, islands, vanities, fireplaces and shower panels. More than 85 professionals and Stone Specialists share our commitment to quality and service. This, combined with production capability, capacity, and dedication to craftsmanship, positions us truly in a league of our own. 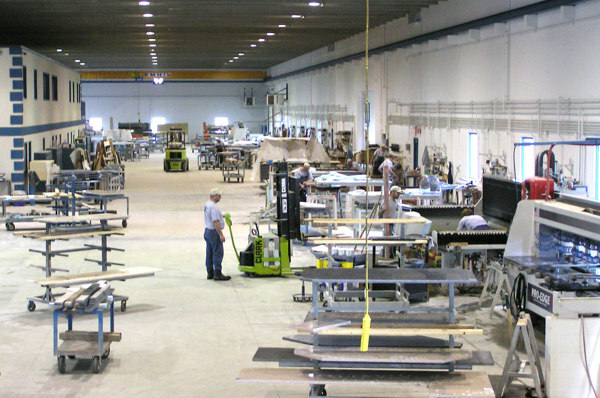 Our state-of-the-art fabrication facility contains the best equipment on the market, including CNC and water-jet technology.